1. A children’s game, similar to baseball, in which a large inflated ball, as a soccer ball, is kicked instead of being batted. 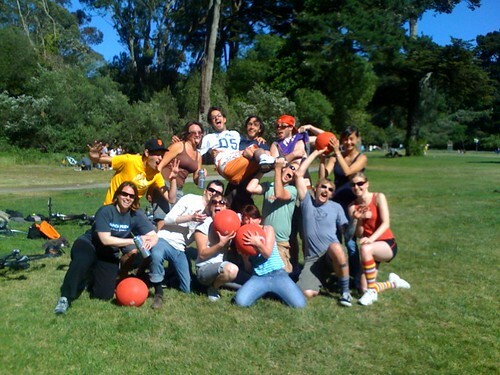 Kickball, transported from both Colorado and YOUR YOUTH has made a triumphant return to your life! Escorted here by the caring arms of Jordan, Tiffany, Justin and Jared comes a wonderful way to simply gather and have fun, united around a non-competitive game, preferably in the sunshine. And you’re invited. 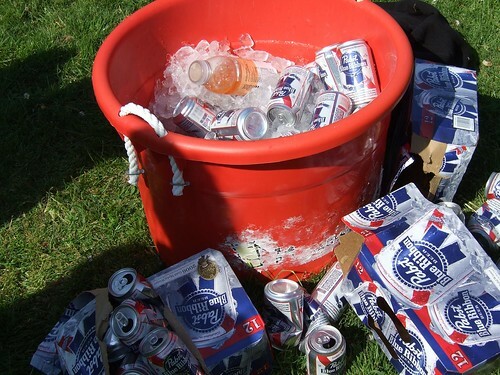 we’re starting a no-pressure, relaxed kickball ‘league” type gathering on Sundays, for a few months…bring friends, beer, good attitudes. 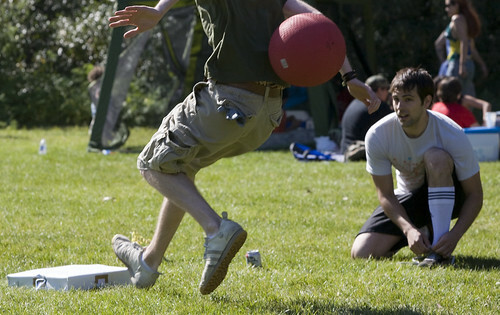 Every Sunday (except Bay to Breakers and 4th of July) from now until August 2nd (the finals) from 2pm-5pm in Golden Gate Park, no pressure kickball. No pressure, if it rains, we don’t play. Bring your friends, kick some balls.